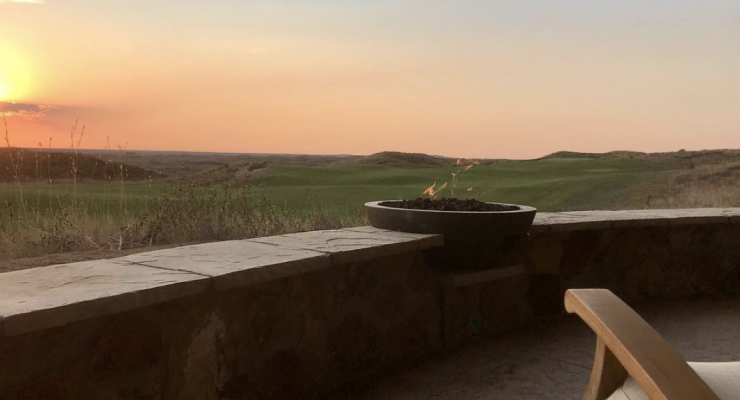 Ballyneal’s accommodations make the senses smile. Ballyneal overnight accommodations consist of four lodges and two newly completed cottages. The lodges offer a variety of double and single rooms and can house a total of 56 guests. The cottages can accommodate 8 additional guests for a total of 64 beds on property. All rooms are well-appointed and spacious, each with top-of-the-line king or queen beds and the finest linens. A concierge is available daily to assist Members and their guests with reservations and room selection. The Meadowlark Lodge is the quietest location with the best views. Located on a nearby hill approximately 200 yards from the village, its outdoor decks offer a spectacular view of the 18th hole and convenient access to the practice area. 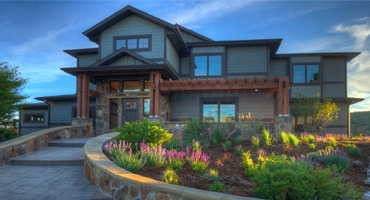 The lodge’s theme is inspired by the Meadowlark species native to Colorado. This colorful member of the blackbird family flashes a vibrant yellow breast crossed by a distinctive, black, V-shaped band. The Meadowlark holds 13 guests with three single second floor rooms each with a private balcony and five double rooms on the first floor. If you have a group of 8-12 that wants a private location, the Meadowlark often can be made available exclusively for you. The Ringneck Lodge is the original Ballyneal lodge and stands in the center of the action directly in front of The Commons. It offers four single rooms, four double rooms, and two bachelor rooms. Additionally, there are common areas available with a TV, which provide a nice spot to gather after your rounds or in the evening. The balcony is a great place to relax and watch the sunset. The lodge’s theme is derived from the Ringneck Pheasant species abundant here in the chop hills. They are one of the most common upland game birds in North America. The Terrapin Lodge is located in the same building as the Turtle Bar and Restaurant. The first tee box is adjacent to the Terrapin. This lodge offers seven single rooms which are possibly the nicest rooms in the complex. Each room is oversized with a king bed and well-appointed bathroom. For those that like to stay up and have cocktails late into the evening, this is a prime location. Its name is derived from the many box turtles you’ll encounter during your stay at Ballyneal. 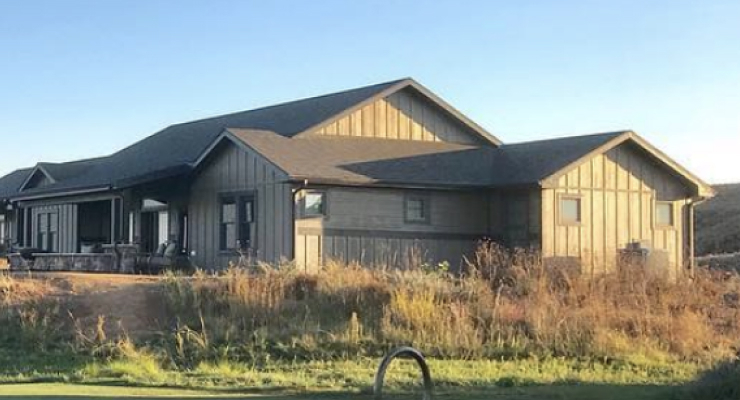 The Sagebrush Lodge reached completion in mid-2014 It offers twelve large double occupancy rooms, each designed in an L-shape, for a more private sleeping area. The theme came from the vast amounts of the Sagebrush plants found in the High Plains of Colorado, which provide shelter for numerous wildlife species and flora. A unique trait of Sagebrush is that it depends on wind for pollination, which is why it is so well-suited for this type of environment. The Sagebrush lodge is also centrally located in between the Ringneck and Terrapin lodges. The Cottages provide a unique experience at the club. Each cottage offers four king bedroom suites with a private living area, stocked wet bar, and a fire pit on the rear deck. Located along the first fairway, the cottages offer breathtaking views of both the original course and the Mulligan course. With the views, added amenities, and heightened sense of privacy, there is no better way to enjoy the Ballyneal Experience with your perfect foursome.